Choosing a basin to complete your bathroom suite isn't always an easy decision, there's so much to consider such as the style of your bathroom, the kind of statement you want to make and your choice of accessories. The furniture you choose can change the whole look and feel of your bathroom, so it is important to create a style that is unique to you. With so many options to choose from, we've selected a range from our most popular products. Gold is making a comeback this year, so why not incorporate little touches of the colour around your bathroom to enhance the feeling of glamour. Another stylish choice which is made from stone is the Metreaux Double Countertop, an ideal feature that suits a more modern bathroom; this basin is bound to make a lasting impression with its beautiful wave design. This stunning feature comes in satin white, and is perfect for a couple who want to feature his and hers sinks! 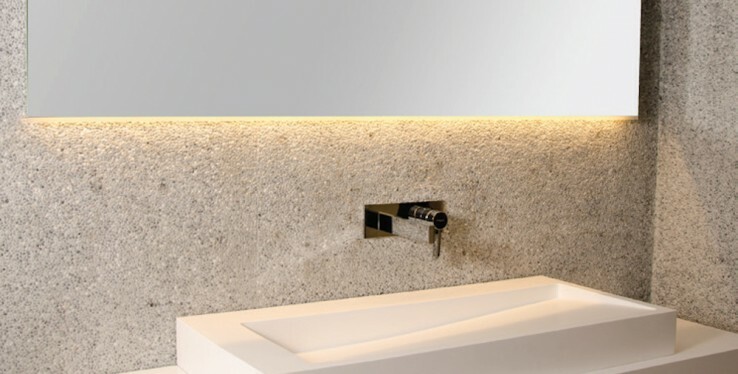 Incorporate this basin into a minimalistic style, and team it with white satin walls, for the ultimate stylish finish. If you want something more unique, The M-Line Wall mounted sink might be the one for you! This decedent basin comes in either white gloss or matte and requires a minimal installation time due to its wall mounted design, ideal for a quick bathroom update.